Timor was having trouble sleeping. It seems he was worried that the Voyager spacecraft was lonely way out there by itself. So the CBC got astronaut Chris Hadfield to let him know that Voyager was doing just fine, and that a busy space explorer is a happy space explorer. 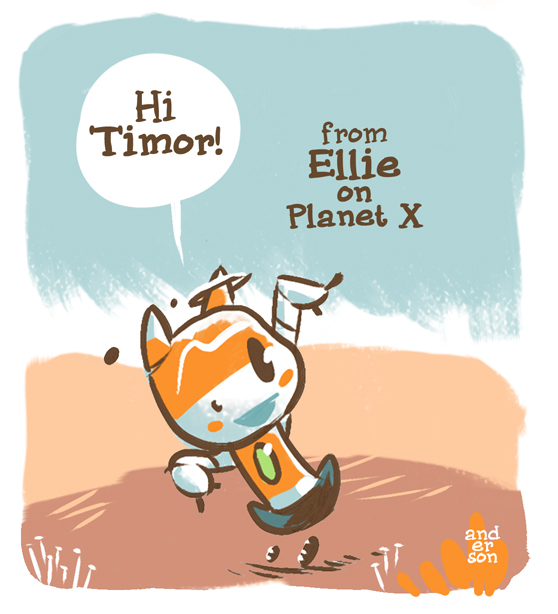 And Ellie takes on the call from the ISEE3 Reboot Project to say, “Hi” to Timor from all mechanical space explorers. Read more about Timor and Voyager.